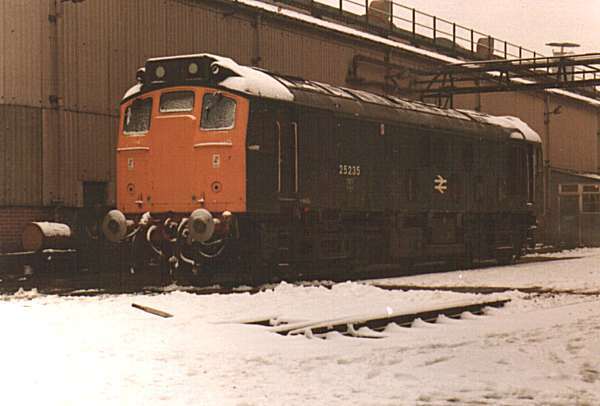 25235 is seen on the bottom yard at Derby Locomotive Works after an unclassified repair. The date is 11th December 1981. 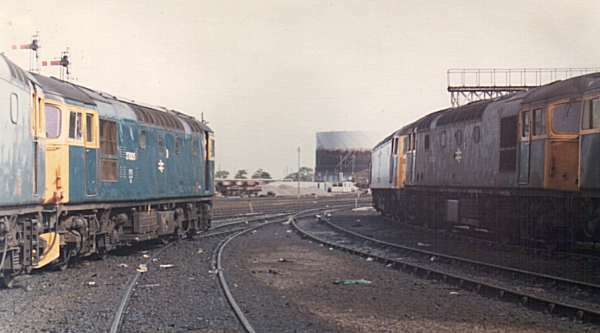 Motive power history at Inverness Depot on 25th August 1981, on the left (back to front) are 27107 and 27005 and on the right (back to front) are 27102, 27205 and 47149. 27107 was renumbered to 27051, 27102 became 27046, 27205 became 27059 which along with 27005 is preserved. 47149 was renumbered to 47617 after conversion to electric train heating, then further renumbered to 47677.